Artists and art enthusiasts gathered on the opening night of Lopez Memorial Museum’s Keeping the Faith: Acts of Mediation, to celebrate the Museum’s support for contemporary art. Featured contemporary artist Kiri Dalena, filmmakers Egay Navarro and Rica Concepcion, and sculptor Agnes Arellano showed their works respectively, alongside works of 19th century masters Juan Luna and Felix Resurreccion Hidalgo, National Artists Vicente Manansala, J Elizalde Navarro, Benedicto Cabrera, and artists such as Jose Tence Ruiz and Danilo Dalena. The exhibit, which runs until April 4, 2009, is part of the annual project Zero In, undertaken by a consortium of private museums composed of Ateneo Art Gallery, Ayala Museum, Bahay Tsinoy, Lopez Memorial Museum and Museo Pambata. 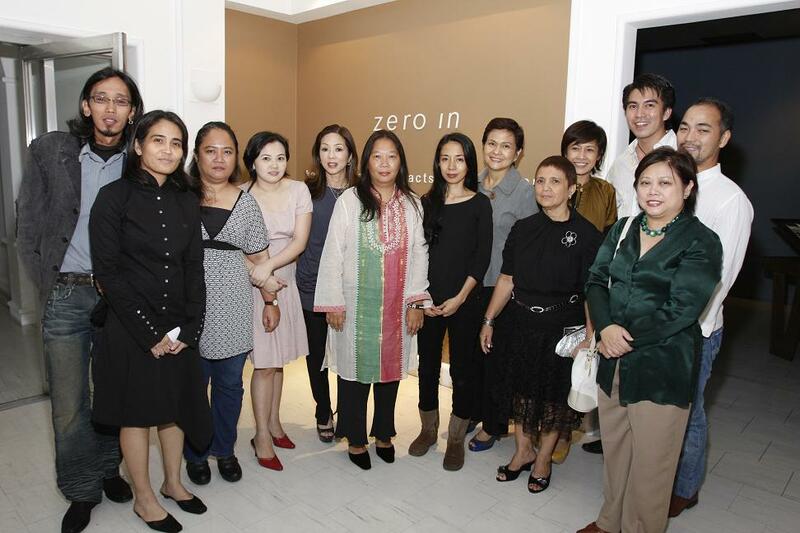 Zero In is an annual project undertaken by a consortium of the country’s leading private museums. Now on its seventh year, it takes on the theme of Bridges–between artist and the public, between art and audience, between the past and today. The Ateneo Art Gallery, Ayala Museum, Bahay Tsinoy, Lopez Museum, and Museo Pambata present exhibitions that continue the vision and directions of past Zero In exhibitions and other programs in the museums. Bridges as theme reinforces the function of museums to educate and entertain the public as well as demonstrate how programs support each other in fulfilling the varied objectives of the five museums.